"The Uniting Church does not accept ​Christian teaching that is derogatory towards Jews or Judaism; the belief that God has abolished the covenant with the Jewish People..."
"In 2017 the group entered its 18th year as a designated Working Group of the Synod of Victoria and Tasmania. It was formed to undertake a continuing process of educating the people of the Uniting Church about their relationship with Jews and Judaism." ​The group’s work has included the conducting of seminars ‘looking back’ – recalling the history of Christian persecution of the Jews and denigration of Judaism which laid the foundation for the Holocaust against the Jewish people in the twentieth century. With this in mind, the group also distributes teaching materials which help preachers and teachers in our church to interpret scripture without doing harm to Jewish people, or to Judaism. These teaching materials include notes on the scripture readings for Easter, plus 3 plays for performance in local congregations during Holy Week. In addition, there are substantial resources in this area available on this website. Since 2005 the Working Group has taken part in a Catholic/Uniting and Anglican committee which presents an annual Holocaust Memorial Service, alternating in Uniting, Anglican and Catholic city churches or schools. 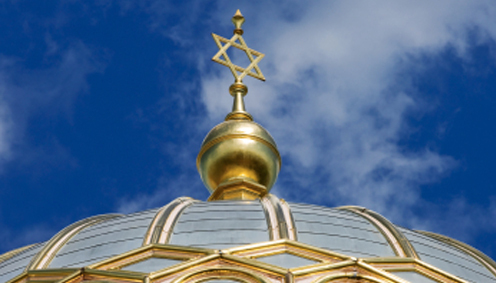 A major focus of the Working Group during the past six years has been its formulation of a public statement of the Uniting Church’s relationship with Jews and Judaism. As of the Assembly meeting in 2009, that statement is now the policy of the Uniting Church and takes its place alongside statements of this type from other members of the World Council of Churches and the Roman Catholic Church. ​The group is also a contact point for congregations wishing to engage a Jewish speaker to explain the Passover Seder or other Jewish festivals, or simply to give an explanation of modern day Judaism.